"Program for Undergraduate Research (PURE)" is a program to increase the participation ofundergraduate students in our research activities. 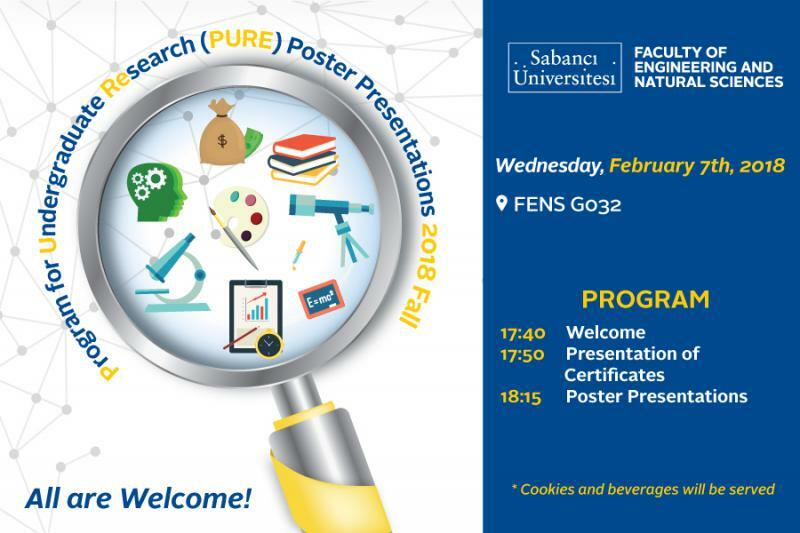 2017-2018 Fall PURE students will present their research results on February 7th at a poster presentation event, which we call "Pure Fair". Certificate of completion will be presented to all PURE students. You are cordially invited to PURE Fair. Details can be found in the poster below.